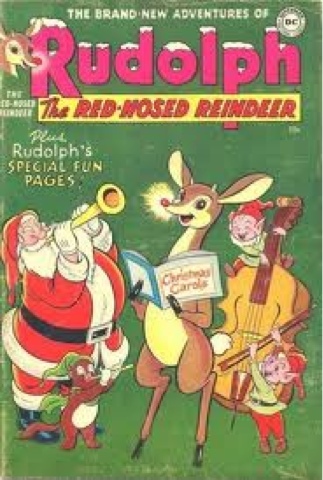 Thought Balloons - Creating Comics One Page At A Time: Why Rudolph? Each Christmas week for the past few years the tenured writers here at Thought Balloons have put aside their differences (I guess) and chosen to write on an X-Mas character. This year we bring you a week of the shunned loner turn leader of magical flying reindeer, Rudolph. When you think about it Rudolph has a lot in common with comic book heroes. He can fly, is shunned by those close to him for being different and pulls a fat man in a suit. In a sleigh - it's not like he's Silk Spectre. 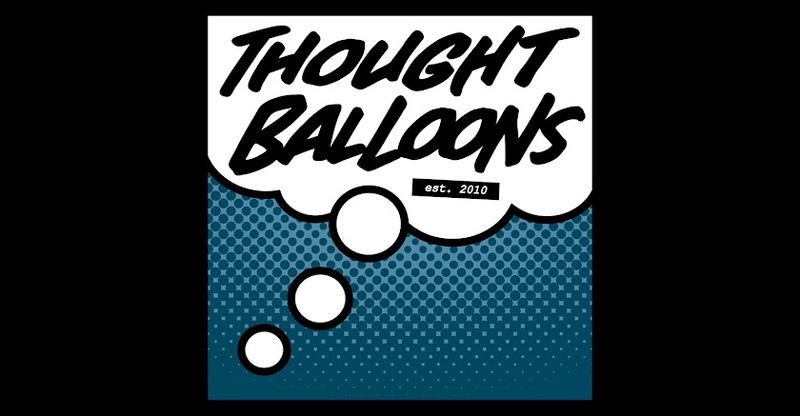 Merry Christmas to everyone from us here at Thought Balloons! Merry Christmas to everyone at Thoughtballoons! MERRY CHRISTMAS EVERYONE AND HAPPY NEW YEAR (When we get there)!!! Inside a forest where winter snow has fallen, smoke is rising from an unseen disaster behind the thicket of trees. Flames have sprung around the foliage and scraps of metal can be seen on the floor. Emerging from the smoke is RUDOLPH, limping with one eye closed, scars across his body. Further out from the forest and into a clear field blanketed with snow, RUDOLPH is swaying as if about to fall. Bird’s eye view on RUDOLPH now lying in the snow, dead. The panel is pure white except for the hoof prints RUDOLPH caused and a trickle of blood that accompanies them.